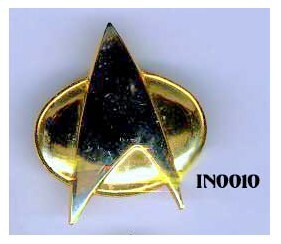 IN0010 - Star Trek Insignia Style 10. Made of Metal by PPC the HOLLYWOOD PINS -1988. 2 Tie Tack Pins on back. Good Condition.